Gavin Davidson is the New Frontiers Programme Manager at Dublin IT. He holds a BA Double Honours (International) degree in Economics and German, and a Higher Diploma in Finance – both from NUI Maynooth. 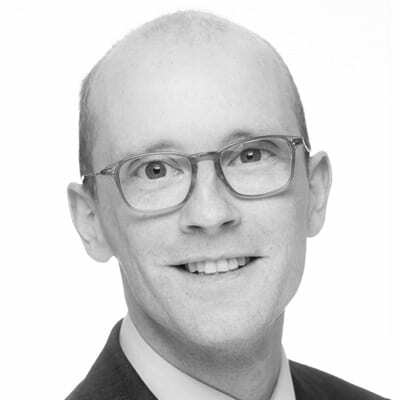 Gavin previously worked as an adviser at UKTI (UK Trade & Investment Ireland), where he assisted UK businesses to grow and export, as well as promoting UK PLCs in Ireland. Some of the companies he worked with in this role included GSK, HSBC, AVEVA, Babcock and De La Rue. Before that, Gavin worked for the American Chamber of Commerce in Ireland, a lobby group that seeks to make Ireland the global location of choice for US companies. He also worked with the leading Irish international business representative body, the Irish Exporters’ Association, and the government’s former National Policy Advisory Body for Enterprise & Science, Forfás. Gavin’s numerous business policy and support roles have given him extensive exposure to individuals, firms and sectors – both in Ireland and internationally. He has had pivotal roles representing Ireland abroad, in a range of contexts. Gavin has managed the New Frontiers programme at Dublin Institute of Technology (DIT Hothouse) since 2015. He brings his knowledge of international strategic development and his insights into sectors such as construction, ICT, fintech, professional services, medtech and manufacturing sectors to support the varied startups on the programme. In New Frontiers, I help to choose winners. It’s always rewarding to watch great and varied entrepreneurs, ideas and effort come together to create jobs, exports and tax for Ireland. In working with them, you share their problems and successes and become a part of their start-up team.